Corey Newhouse is the Founder and Principal of Public Profit, a consultancy that helps mission-driven organizations use data to get better at what they do. Public Profit provides evaluation, capacity building, strategic program design, and data visualization services. As the luckiest person on earth, Corey gets to consult with clients ranging from museums, to schools, to foundations, to arts-based nonprofits, to policy advocates. Corey is an expert in evaluation and organizational capacity building, and won't stop 'til her clients love data and learning as much as she does. She has written a number of guides and articles, including Dabbling in the Data: Hands-On Data Analysis Activities for Teams and Creative Ways to Solicit Youth Input. 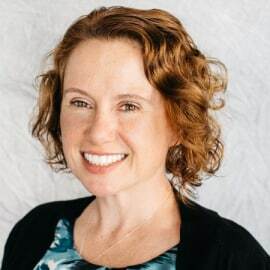 She is a co-author of Making Wise Decisions: A Step-by-Step Guide to Picking the Right Data System, a free toolkit for nonprofits that want to adopt a new client information management system.